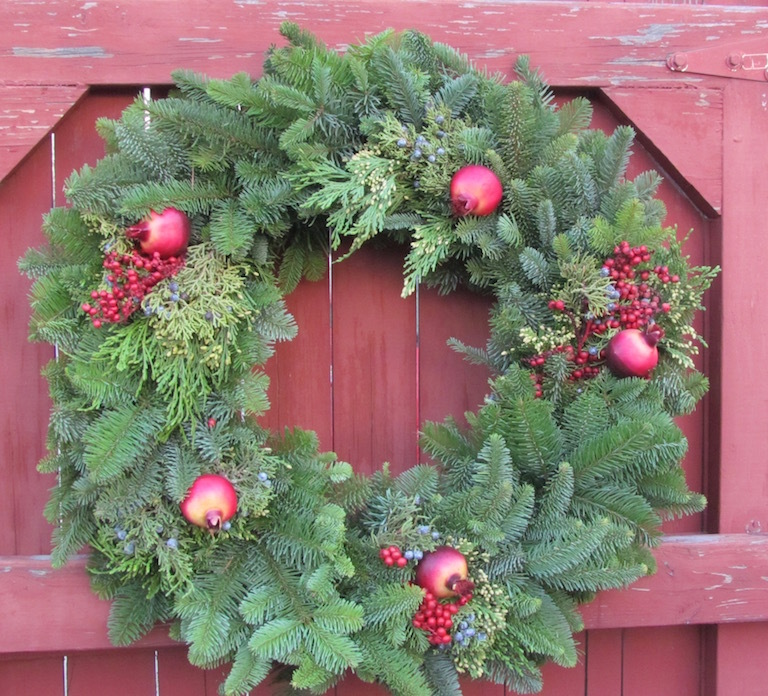 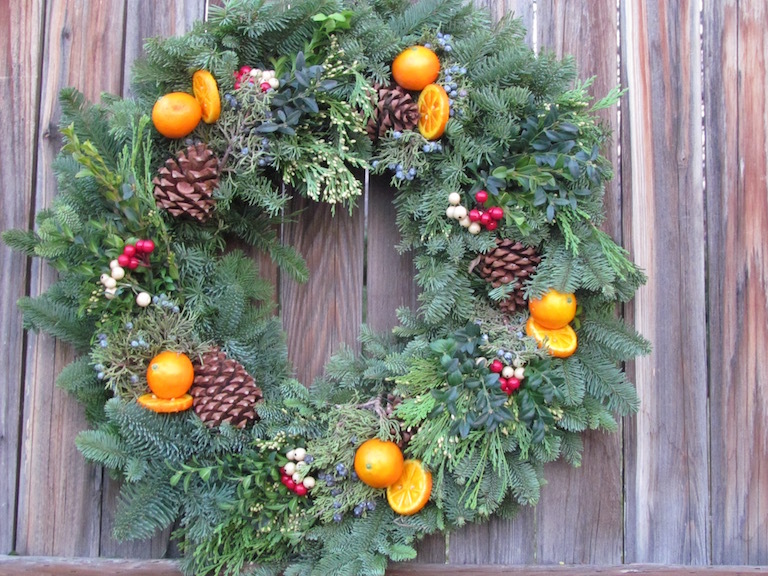 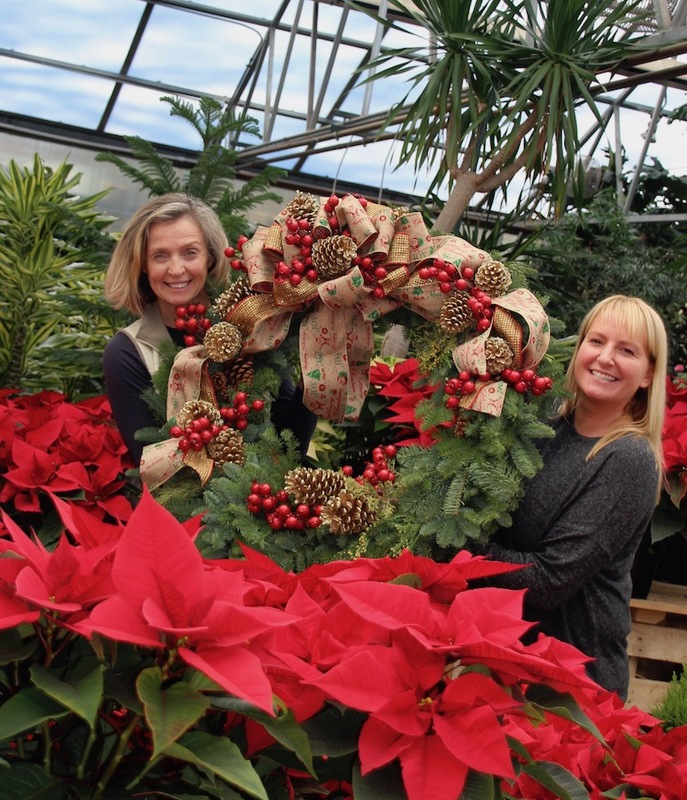 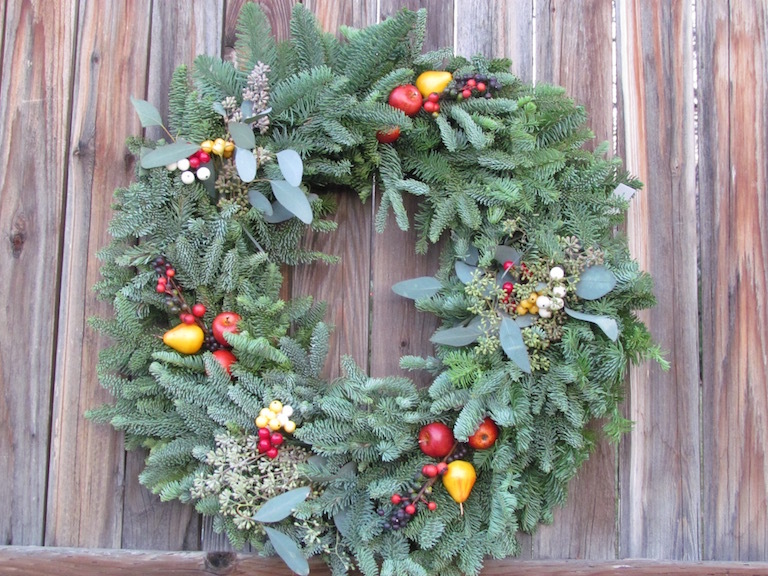 Our designers would love to custom design a fresh, fragrant evergreen wreath, swag or mantlepiece just for you. 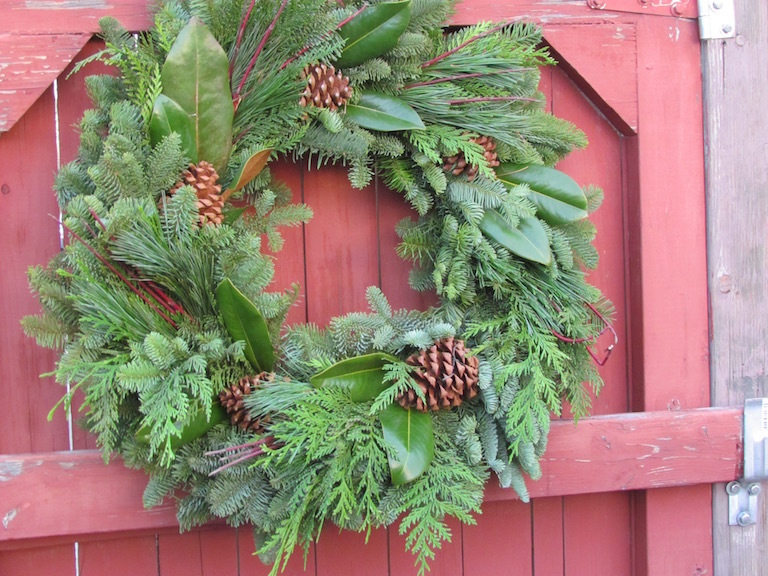 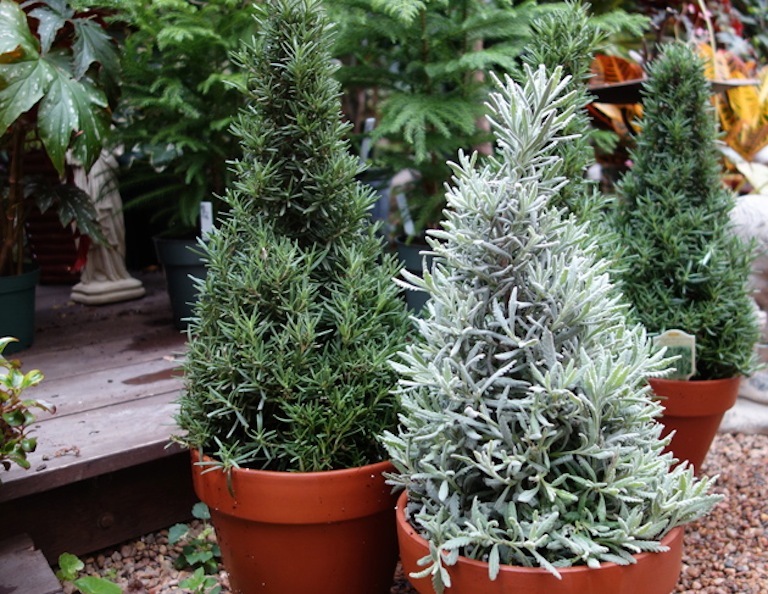 The fresh evergreen wreaths have a mixture of fragrant greens including incense cedar, juniper, noble fir, and silver fir. 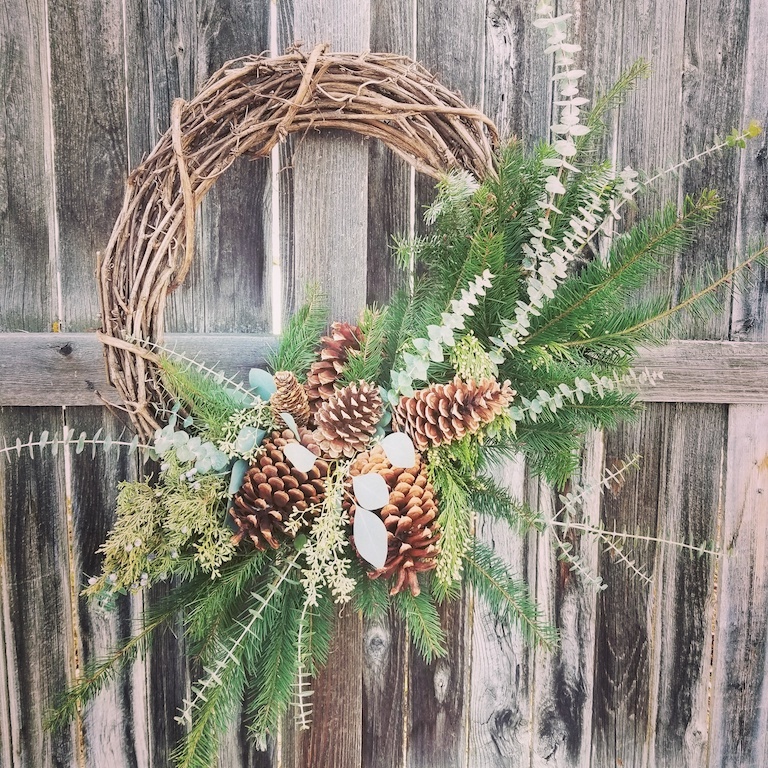 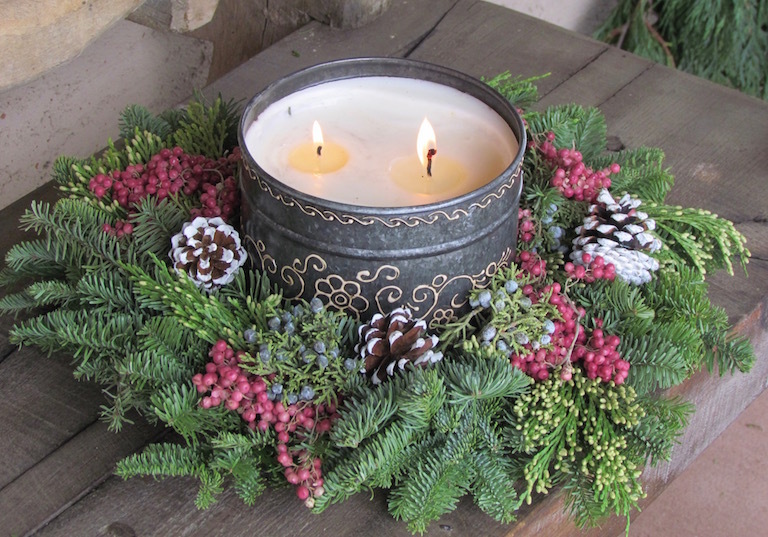 We can add pinecones, a rich velvet bow or satin ribbon, holly, berries and fruit or flowers. 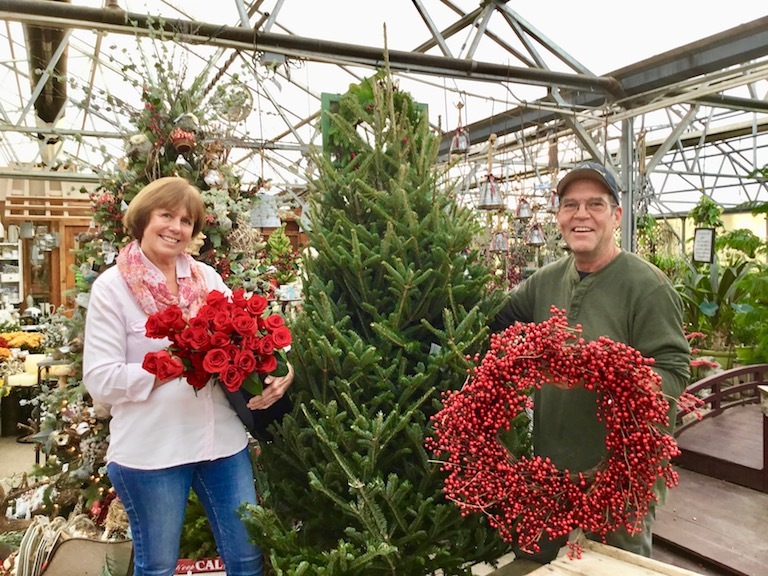 Bring in your favorite ornaments or let them add some of our new ones. 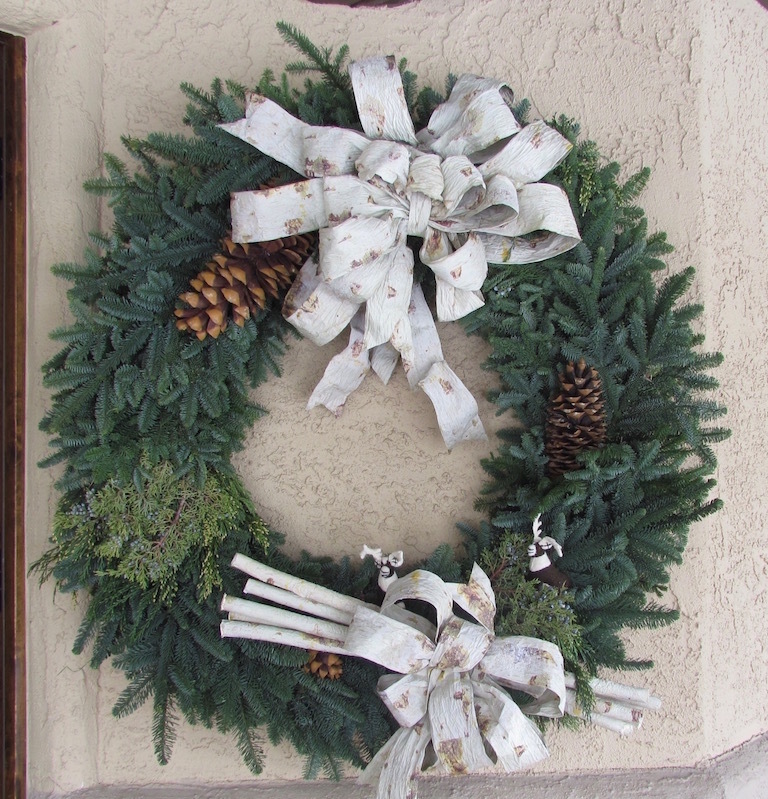 We also have a wonderful selection of artificial wreaths that are ready to hang either indoors or out. 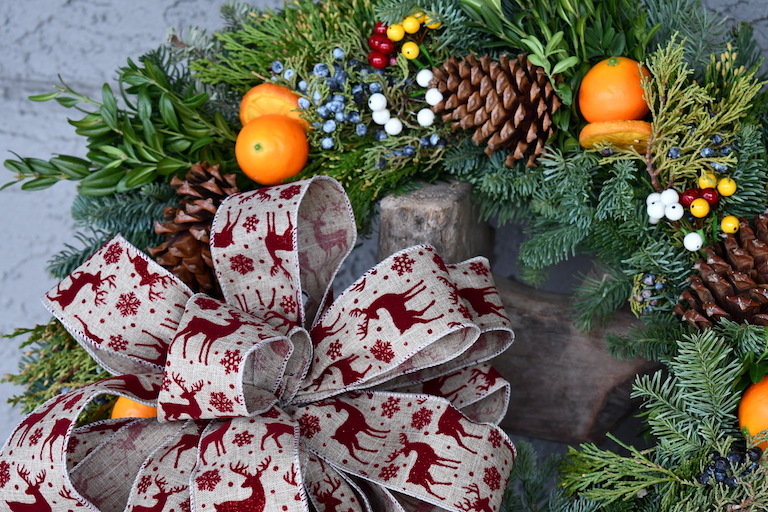 We can also add special touches to our artificial wreaths with designer ribbon, ornaments, and artificial berries. 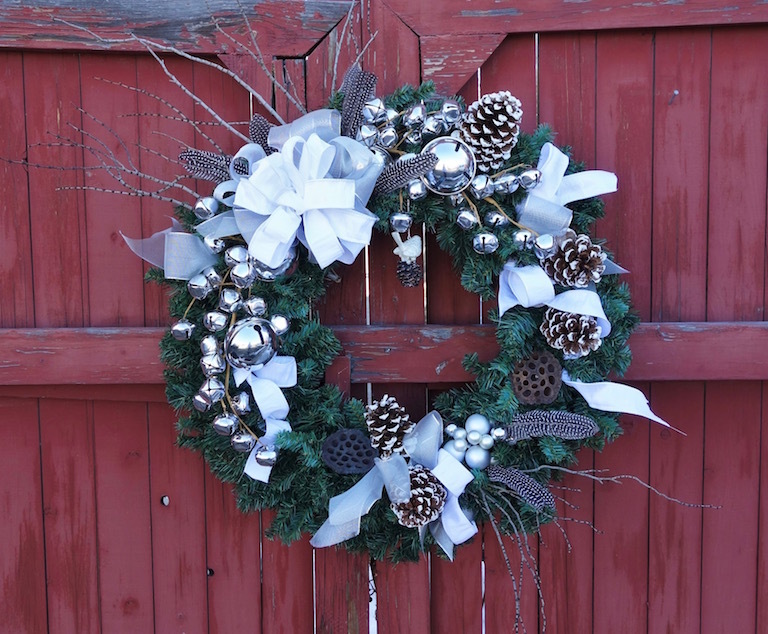 The designers can create a kitchen wreath that will make the entire house fragrant with the aroma of evergreen, bay, rosemary and lavender. 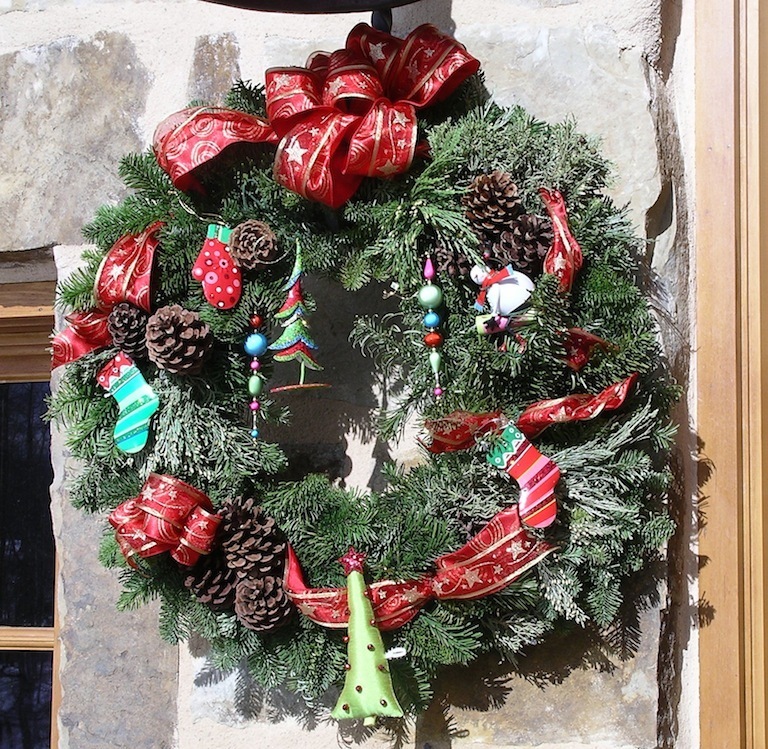 There are rosemary and lavender topiaried trees for the kitchen counter and don't forget a mistletoe ball with a bright satin ribbon for the kitchen doorway.